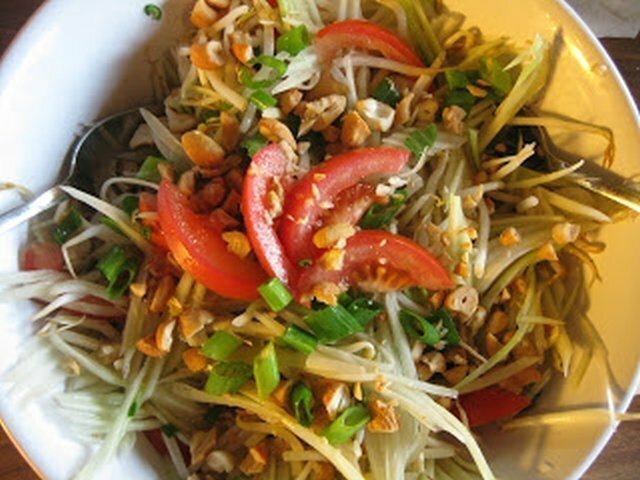 Khmer delicious supplement which are easy to prepare and cook. In a bowl, mix in together vinegar, sugar, fish sauce and salt. Stir until sugar dissolved. Add into the bowl the pickle variation (either chunky or shredded). Combine all ingredients well and set aside for 2 hours for best result. This authentic pickle is a deliciously perfect condiment for barbecued/grilled meat with steamed rice. A very popular street food breakfast option in Cambodia..